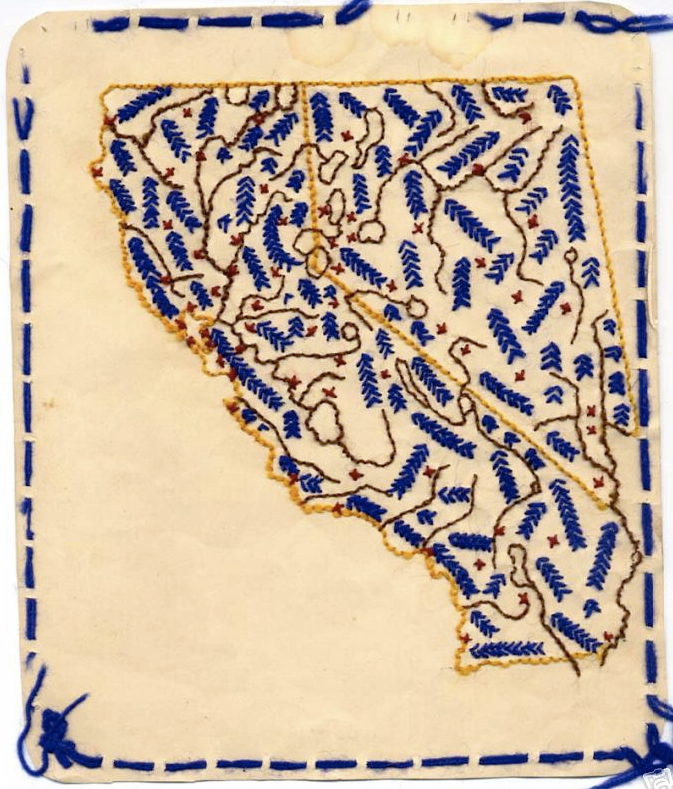 Embroidered map of California and Nevada ca. 1900 – 1920. I love the little “x” that marks my hometown, nestled in the fork of a river. From newall via Anonymous Works.